Sunset District pioneer and benefactor. Carl Larsen's Chicken Ranch facing the Sunset District sand dunes around Noriega Street and 17th Avenue, circa 1900., 1900 - Courtesy of a private collector. In the late 1800s, many speculators began buying land in the Sunset District. 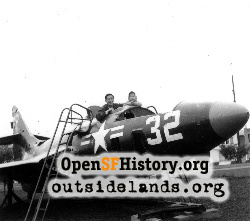 By the early twentieth century, landowners in the area included Michael deYoung, Fernando Nelson, and Adolph Sutro. But one of the largest land owners, Carl Larsen, also had other ties to the district. 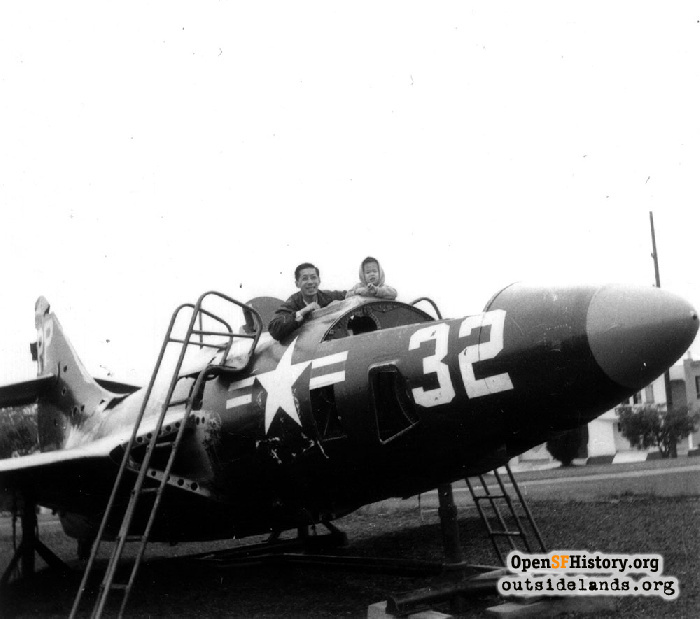 Larsen did not live in the Sunset District, but he owned a business and a lot of land in the area. Sometimes called the "Gentle Dane," he donated land for parks in the Sunset and probably would have given more to his city, but underhandedness after his death prevented any further gifts. Carl Gustave Larsen was born in 1844 in Odense, Denmark. He came to San Francisco in his late 20s and worked as a carpenter. In 1879, he started the Tivoli Café downtown at 18 Eddy Street. In 1905, he moved across the street, constructing his own building at 50 Eddy Street. A popular restaurant, the Tivoli Café was destroyed in the earthquake and fire of 1906. Undaunted, Larsen rebuilt and opened the Tivoli Café and Hotel Larsen. 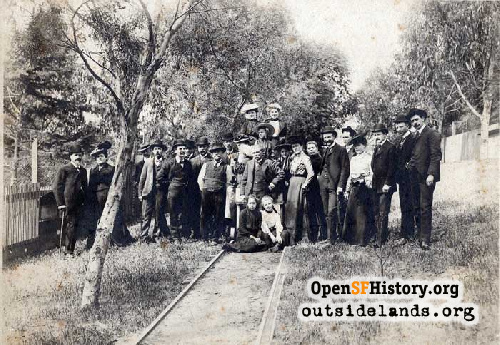 Plenty of land was available in the Outside Lands in the late 1800s. Larsen's first venture into real estate was in 1888, when he bought one block in the Sunset at an auction. He continued to buy land in the area, and by 1910 he owned fourteen entire city blocks and lots that totaled about nine more blocks. 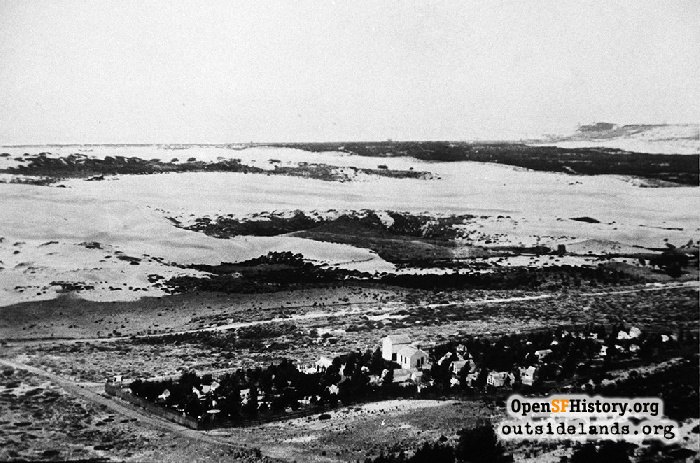 At this time, all of the land was sand dunes. Few of the streets were cut through, and accessibility was difficult. As time passed, Larsen sold or donated parts of his holdings. Well-known structures that sit on land once owned by Carl Larsen include St. Cecilia's Church on Vicente Street and the (former) Shriner's Hospital on Nineteenth Avenue. Larsen operated a chicken ranch on one square block bounded by Moraga and Noreiga streets, Sixteenth and Seventeenth avenues. Each morning, a horse-drawn carriage took eggs from the chicken ranch to the Tivoli Café downtown, probably along the only through road in the Sunset, the Central Ocean Road. Tivoli Café ads boasted, "Fresh eggs from Sunset Ranch EVERY DAY." Once a year, at Easter, the Larsen chicken ranch hosted a large party for the neighborhood, with open bars and tables of food. Some reports say that these annual parties got out of hand and were discontinued in 1913. Carl Larsen and family at his Sunset District chicken ranch, 1900s., circa 1909 - Courtesy of Phil Millhollon. Larsen lived downtown, but he was very involved in the Sunset neighborhood. He was a member of the Sunset Improvement Club and the Nineteenth Avenue Boulevard Club, a group that lobbied for a macadamized road and beautification along today's Nineteenth Avenue, from Golden Gate Park to Ingleside. In 1900, this group raised money to plant "bunch grass" on the west side of the newly macadamized Nineteenth Avenue. Although he worked for civic improvements and streetcar service to the area, Larsen was not completely happy when his efforts were successful. To help pay for the Twin Peaks Tunnel, a tax assessment was made of Sunset landowners, who would benefit the most from the tunnel's construction. What happened at this point is not clear. According to the San Francisco Chronicle, Larsen owed about $60,000 and filed an unsucessful protest with the city. The newpaper said that to pay his assessment, Larsen sold many of his lots to the city and to private bidders on May 22, 1914. However, Block Books from 1915 and 1920 show Larsen owning most of the same Sunset land he owned in 1910. In More Parkside Pranks and Sunset Stunts, George Stanton wrote that Larsen did not have enough money to pay the tunnel assessment and "died a broken hearted man." However, according to the Chronicle, the Larsen estate was worth close to $800,000 when he died. Larsen is best remembered as the donor of Larsen Park, two blocks between Nineteenth and Twentieth avenues, between Ulloa and Wawona streets. Current Sunset residents know the green lawns, baseball diamond, tennis court, basketball court, and Charlie Sava Pool. Sunset residents in the 1950s and 1960s swam in the "modern" Larsen Pool, and remember the military airplanes that sat on the land, one at a time, for years, unique life-sized toys for children to climb over and sit in. In 1926, when Larsen donated this park to the city, Mayor James ("Sunny Jim") Rolph thanked him on the steps of City Hall proclaiming that Larsen would "be remembered in company with other benefactors, who have accumulated great wealth within our boundaries and were inspired to reciprocate with gifts to the commonwealth." Larsen Park was unique in that two spaces were set aside as "out-of-door card rooms," one for men and the other for women. The outside card rooms and soccer field are long gone, but the tennis court and baseball diamond remain, now accompanied by a basketball court and an indoor swimming pool. A memorial to Larsen stands at the Nineteenth Avenue and Ulloa Street corner of Larsen Park. The bronze plaque, mounted on a large stone, displays a bust of Carl Larsen sculpted by Melvin Earl Cummings, who also sculpted Sather Gate at UC Berkeley. Below the sculpture, the plaque reads, "Carl G. Larsen has generously given these two blocks to the city of San Francisco for park pleasure purposes." 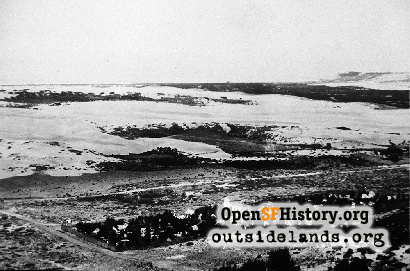 Larsen also donated land at the southern edge of Golden Gate Heights. Golden Gate Heights Park (or "Larsen's Peak") rises 725 feet above sea level, one of the city's highest hills. Carl Larsen died on November 5, 1928. He was remembered as generous both to the City of San Francisco and to his employees at the Tivoli Café. Newspapers reported that the Tivoli Café had been losing money for years before Larsen's death but that he would not close it or terminate any workers. Evidence indicates Larsen wanted to leave some of his estate to San Francisco. A handwritten will, dated July 27, 1909 and found after his death, gave $10,000 to a brother, $5,000 each to his other brothers and a sister, $25,000 to a friend, $25,000 to the Danish Ladies' Relief Society of San Francisco, and $5,000 to the Boys and Girls' Aid Society of San Francisco. The remainder, estimated at more than $500,000, was given to San Francisco for a museum in Golden Gate Park. Some people listed in the will never saw those funds. When the will was discovered, Larsen's signature and the signature of a witness had been "cut off." Larsen's relatives (22 of them, some living in Denmark) disputed the will and, in 1931, Superior Court Judge Dunne declared the will invalid. The friend mentioned in the will received a settlement; the rest of the estate was divided among Larsen's relatives. Larsen's museum was never built in Golden Gate Park, but two Sunset parks—Golden Gate Heights Park and Carl G. Larsen Park—remain as reminders of the Gentle Dane. Lorri Ungaretti, author of San Francisco's Sunset District and San Francisco's Richmond District, is working on a history of the Sunset District. If you have stories to tell, contact her at lorri@outsidelands.org. San Francisco Block Books, 1910, 1913, 1915, 1918, 1920. San Francisco Chronicle, March 11, 1900; September 6, 1913; September 27, 1926; October 5, 1926; November 6, 1928; September 28, 1929. San Francisco Examiner, "Pioneer Gives Sunset Park Site to City," September 27, 1926; December 11, 1929; May 6, 1931; March 18, 1966. Sunset Journal, Anniversary Edition, January 28, 1910. Williams, Mary Ada and George Stanton. More Parkside Pranks and Sunset Stunts, 1990, The North Scale Institute, San Francisco. Page launched 24 June 2009.